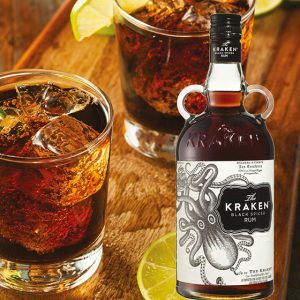 It’s a rum ol’ trend and it’s here to stay! Back in the 1700s rum was so popular in Australia that it became currency – people were paid in rum and used it to buy goods. As breweries and vineyards boomed, the rum trade waned. But it looks like 2018 could be rum’s year again. Over the past five years, UK rum sales have grown by 15% by volume and 32% by value. Many cocktails include rum, such as the ever popular Mojito. However, the rise in popularity of spiced rums has seen cocktails take a different path. 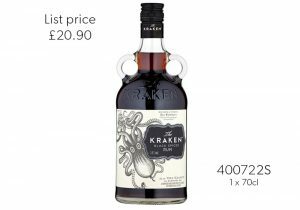 The Kraken Black Spiced Rum is distilled from molasses made from sugar cane and with plenty of nutty, vanilla and coffee aromas with a long, peppery finish is perfect for those spicy cocktails. August 16th is National Rum Day, so let’s celebrate this alcoholic beverage in style! Why not try the Perfect Storm? 1 part Kraken Rum, 3 parts Fentimans Ginger Beer (307333C) and garnished with a lime wedge. We know you’ll love it! If we’ve got your creative juices flowing, you can find more cocktail ideas here.